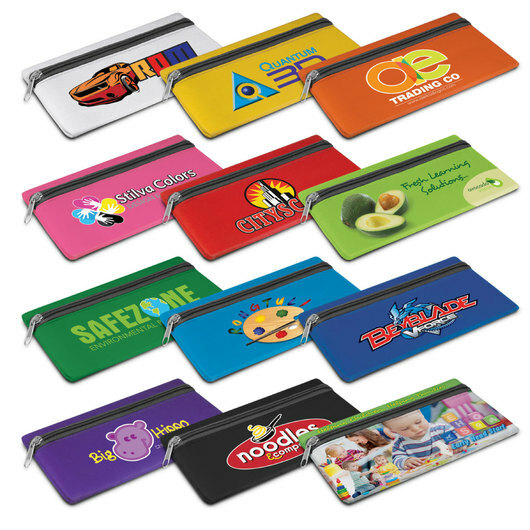 A large custom neoprene pencil case, perfect for your promotional needs. Production time: Usually 30-35 working days after artwork approval. Made custom to almost any colour, with a custom sublimation print with a huge decoration area allows you to make these large neoprene pencil cases exactly as you want them! They're large in size and made from stretchy neoprene material and have a black zippered closure. Available with branding on both the front and back in full colour at not added cost! Please note these are factory direct so have a little longer production time.